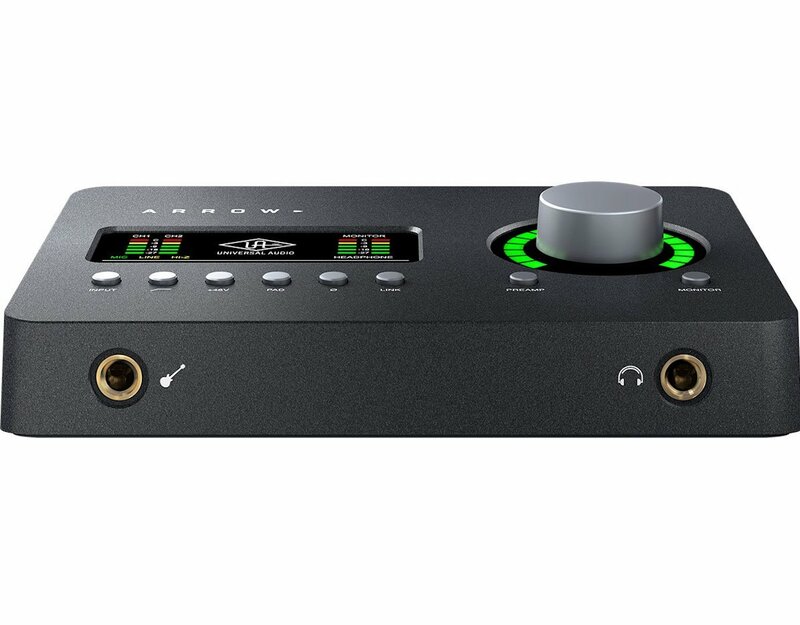 Enhance the sound quality of your audio projects with the Arrow Thunderbolt 3 Desktop Recording Audio Interface. 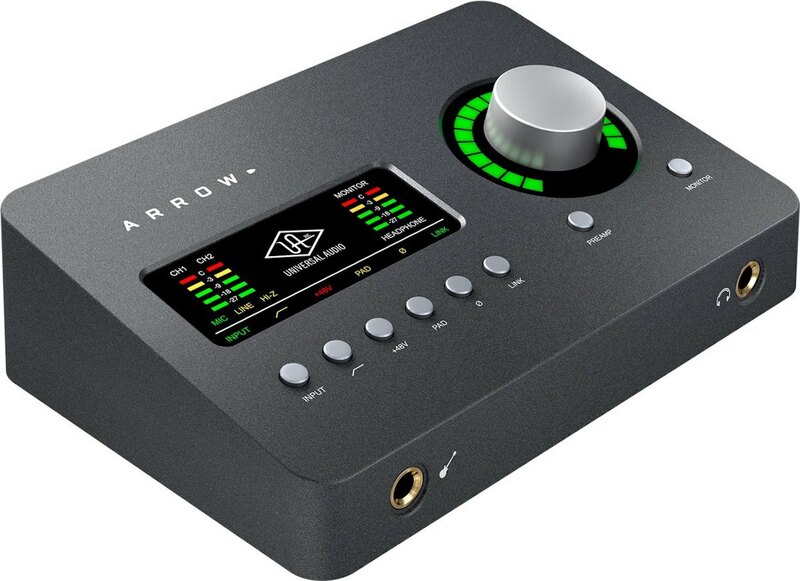 Enhance the sound quality of your audio projects with the Arrow Thunderbolt 3 Desktop Recording Audio Interface. 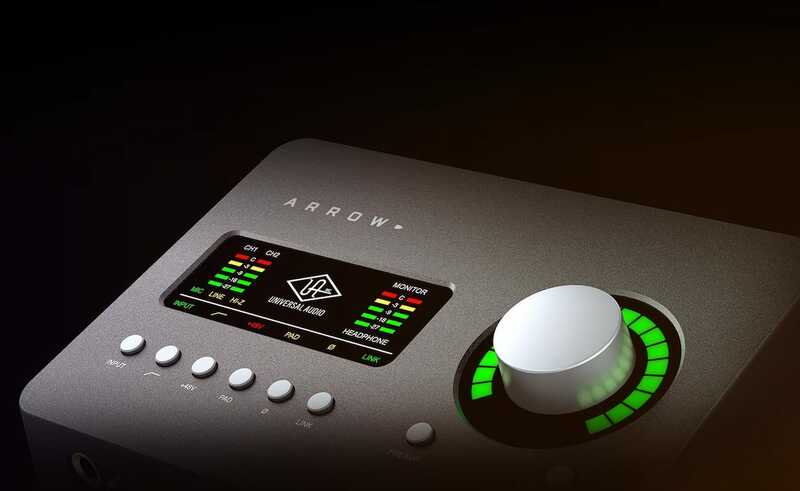 Using Thunderbolt 3 connectivity, the Arrow is an innovative recording audio interface that sits on your desktop. 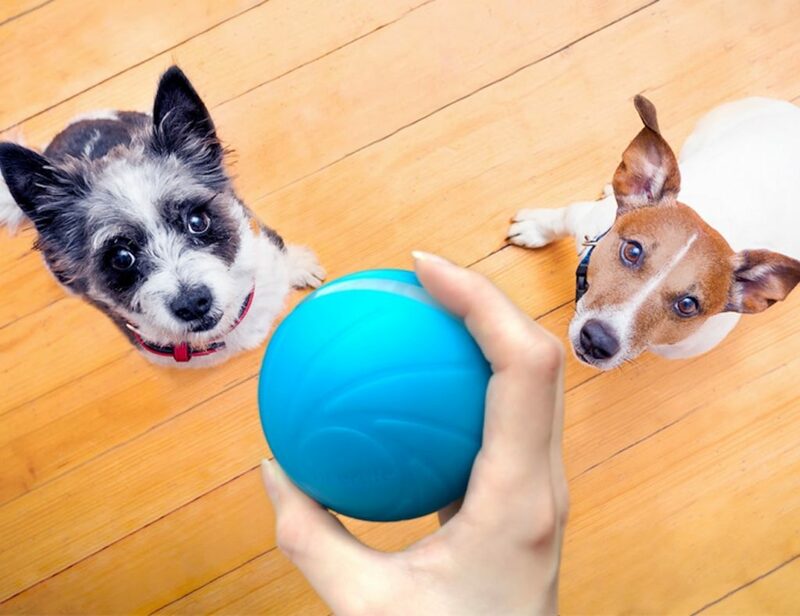 It works with Mac and Windows to deliver high-quality audio conversion. 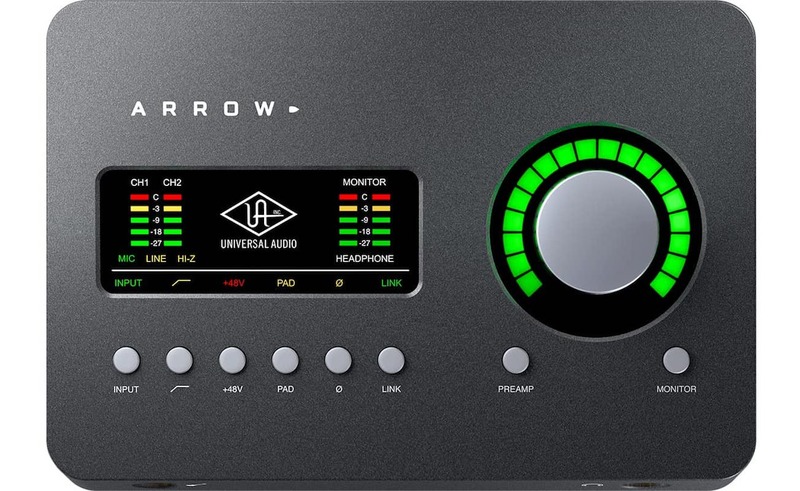 Additionally, the Arrow features two Unison mic preamps and a collection of onboard UAD plug-ins to create album quality sound. 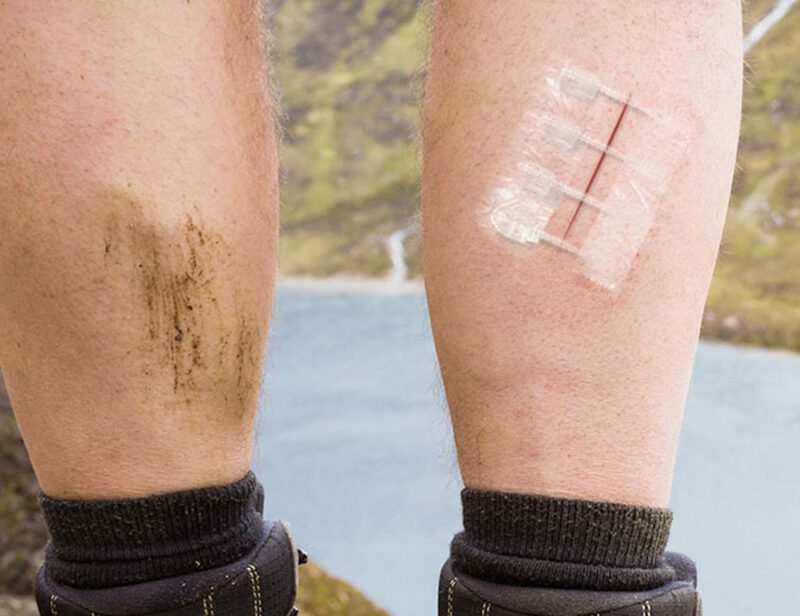 Along with the included Realtime Analog Classic plug-ins, you can also use UAD Powered Plug-Ins in real time without draining your computer’s CPU. 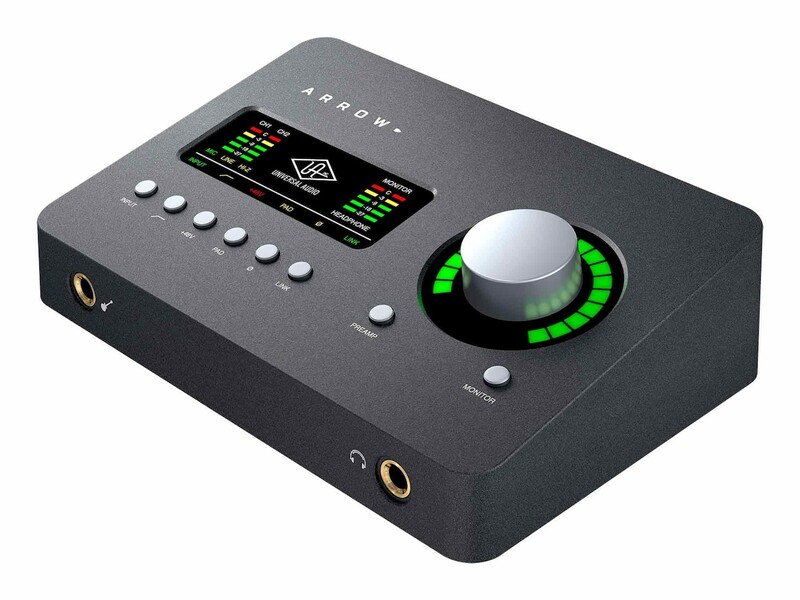 With its built-in UAD-2 SOLO Core processor and Unison technology, you can record with standard audio tools at almost zero latency. 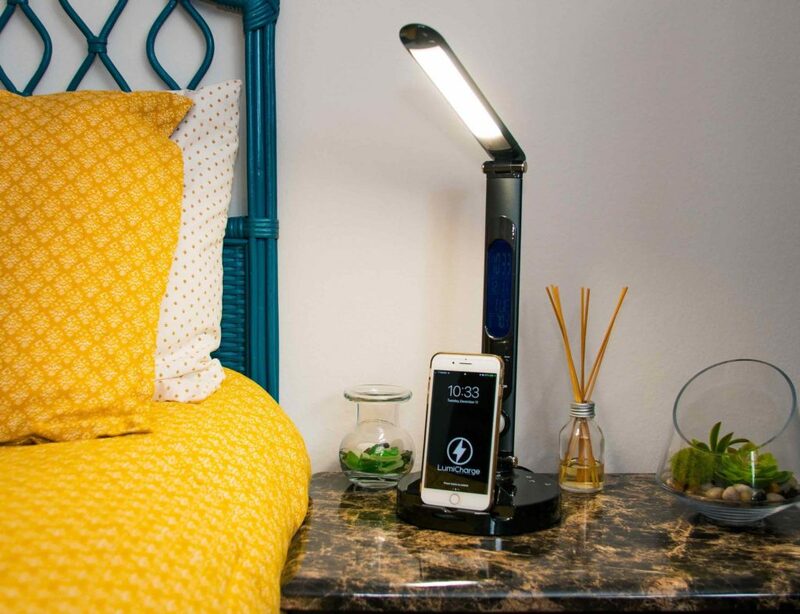 Furthermore, the Arrow features an all-metal construction so you can easily create while on the move. 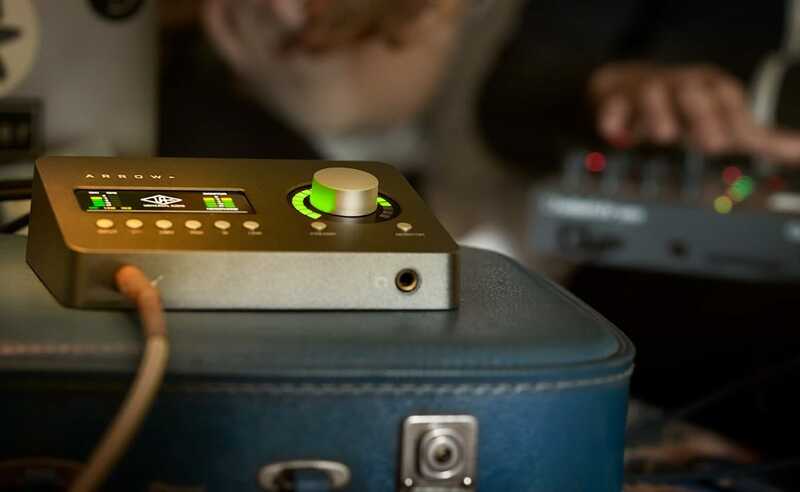 Plus at just 2×4, this compact audio interface fits comfortably in your bag.